It's my Birthday! You've all already given me so much over the years that I want to take this chance to have a little fun and give something back so... I've created a NEW Spotify playlist for you to boogie to! "A Sunshine Party" playlist is full of music new and old to get your feet moving! ALSO for the next two weeks when you follow the playlist on Spotify you'll be entered to WIN a special gift from me to you! 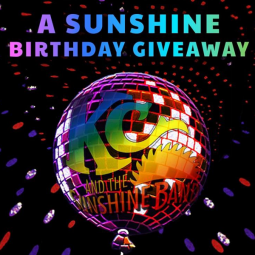 The Sunshine Bundle includes a pack of KC and The Sunshine Band playing cards, custom hoodie, and, of course, "The Best of KCSB" on CD! Click the HERE to enter!